I wasn’t familiar with Michael Thompson before this album but his list of credits in the music industry is very impressive. He looks to be a very in-demand session player that has worked on soundtracks and with tons of rock/pop/R&B artists like *NSYNC, Barbara Streisand, Bette Midler, Boyz II Men, Brandy, Celine Dion, Cher, Christina Aguilera, Ciara, Debbie Gibson, the Eagles, Gloria Estefan, Jennifer Lopez, Jessica Simpson, Joe Cocker, Johnny Mathis, Kenny G, Lionel Richie, Madonna, Mariah Carey, Michael Bolton, Michael Buble, Michael Jackson, Neil Diamond, Seal, Shania Twain, Toni Braxton, TLC and Whitney Houston. Very impressive list. 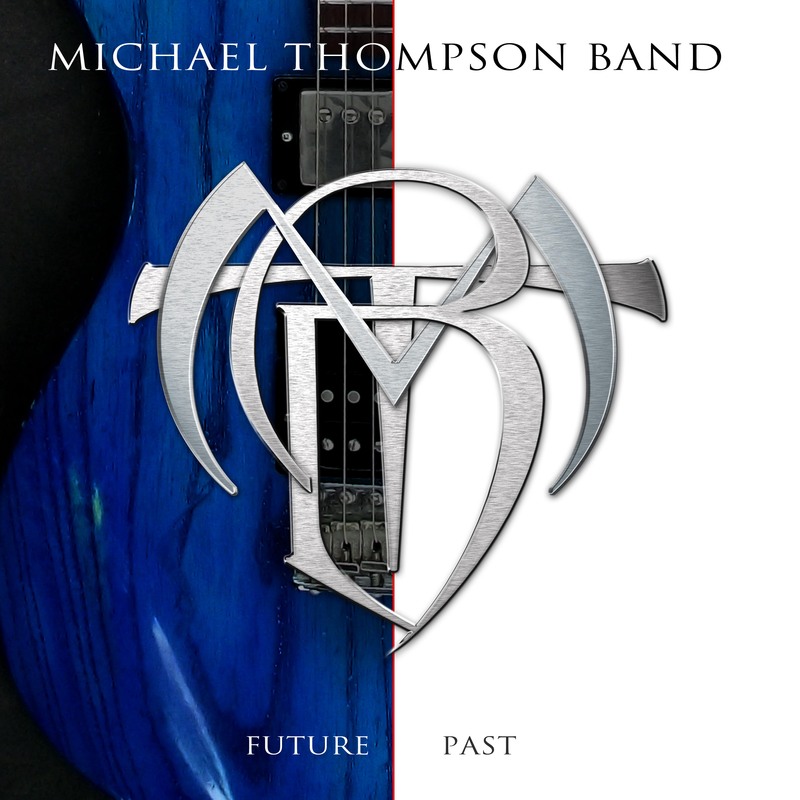 Though Michael has managed to release two solo albums and also form another melodic rock outfit called TRW, with such a busy session career it’s no wonder there’s been a 23 year gap between the Michael Thompson Band’s debut album 1989’s How Long and Future Past. In 2007, Frontiers Records re-issued How Long (which was originally released by Geffen Records) so obviously they’d want to release the follow-up MTB album as well. As you would expect from such a seasoned session player, the songs on Future Past are expertly recorded, written and performed. Thompson’s chosen vocalist for this album, Larry King, has a great voice and is exactly what I like to hear from melodic rock acts. A lot of this album sounds like the type of AOR that you would’ve heard in the early or mid ’80s (I am told this is referred to as “West Coast AOR”). But unlike many of those melodic rock albums from the 1980s, Future Past is thankfully not drowned in keyboards. After all, Thompson is a guitarist first and foremost so the keys take a backseat to that. Future Past doesn’t actually live in the past completely though. “Can’t Be Right” has modern touches to it and “Here I Am” sounds like something I’d expect from Bon Jovi these days. MTB has turned in a collection of sentimental moments and catchy, uplifting songs that is sure to please melodic rock fans everywhere.